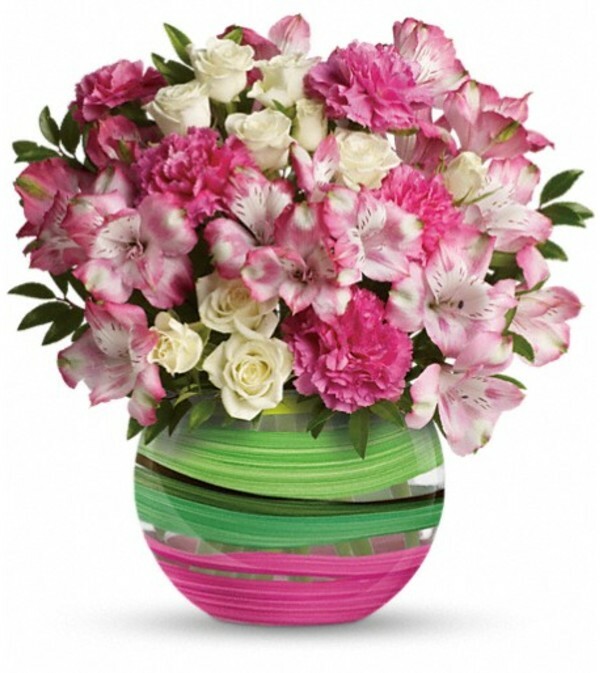 Swing into spring with this charming bouquet arranged in a egg-shaped contemporary glass vase. Guaranteed to delight. 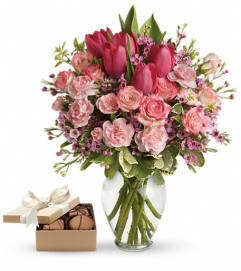 White spray roses, pink alstroemeria and hot pink carnations are accented with assorted greenery. 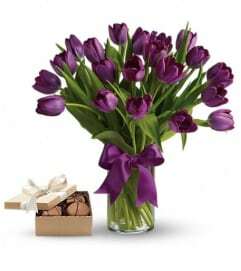 Delivered in a Paint It Pastel vase.